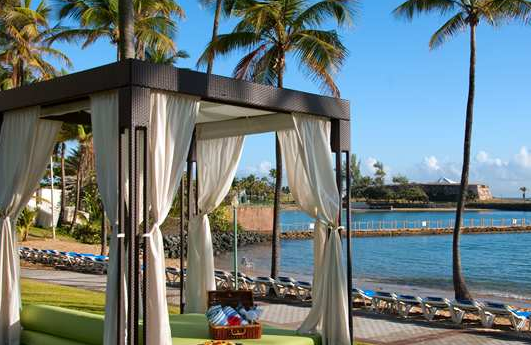 Family & Kid friendly resorts in Puerto Rico. Ideas for Family getaways & holidays. One of the best luxury family & kid friendly resorts in Puerto Rico for unforgettable family getaways & holidays in the Caribbean. 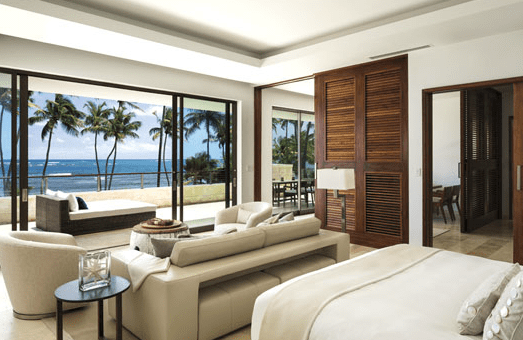 Dorado Beach, a Ritz-Carlton Reserve offers an array of amenities and facilities including three spectacular 18-hole golf courses, The Beach Club featuring adult and family pools, and the historic Rockefeller Nature Trail – an open-air sanctuary from land to sea and so much more. Privileges at the Watermill, an aquatic playground located on the property for children and adults. Ritz Kids club – provides your child with enthralling activities based on the four pillars of the program – water, land, environmental responsibility and culture. Set on a private peninsula in an ideal location near Old San Juan, just a 15-minute drive from Luis Muñoz Marín International Airport (SJU), the resort has a private check-in as well as a pool and whirlpool exclusively for Villas guests. Guests can also enjoy all of the resort amenities, including the Kids’ Club, Las Olas Spa, tennis courts, nine restaurants and bars, tropical gardens and bird sanctuary and a secluded beach offering water sports and activities. 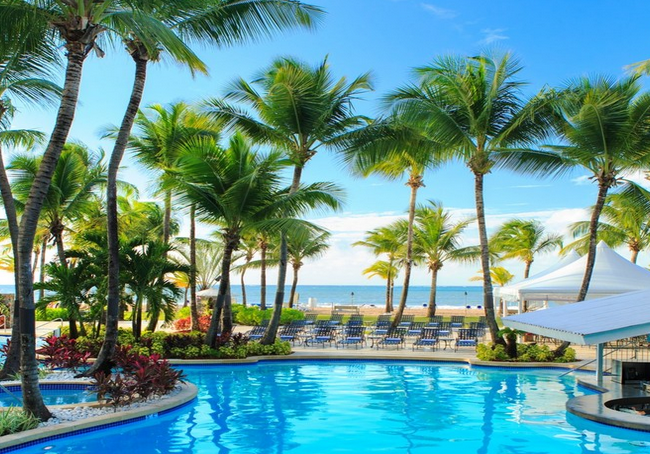 One of the greatest family friendly hotels & kid friendly resorts in Puerto Rico with many family amenitis such as Children’s Activities, Children’s Menu, Cribs, High chairs, Playground and more. An secluded beach enclave, one of the spectacular family & kid friendly resorts in Puerto Rico is a full-service beachfront hotel paradise. The hotel also provides Wi-Fi Internet in guestrooms, lobby, pool and beach side, Spa, Televised In-Room Yoga, 10 on-site restaurants and lounges, Rio Mar Casino, Child Care Services, Mandara Spa with Salon Services & Fitness Center, Hot Tubs, Kids Playground, Hiking / Biking Nature Trails, Tennis Complex, Waterslide & Children’s Wading Pool and much more. One of the unforgettable kid friendly hotels in Puertto Rico for unique family holidays & getaways. One of the best family & kid friendly resorts in Puerto Rico Caribbean, a highly sophisticated architectural gem nestled on Coco Beach, Río Grande. Just a scenic 30 minutes from Luis Muñoz Marín International Airport and the greater San Juan. Settle into a brisk round of golf in the morning or an afternoon simply lazing on a Bali bed beside Puerto Rico’s largest lagoon-style pool, with four integrated whirlpools. Further entertain yourself at three lighted tennis courts, or be entertained with live music at Avenue Bar. Activities center and Kids Club, including babysitting service and daily activities for children of all ages. Spa treatments, Salsa and Meringue dance classes, two world-class 18-hole championship golf courses, board games, water aerobics, yoga, volleyball, and so much more. One of the memorable kid friendly resorts in Puerto Rico. 24-Hour fitness center overlooking the pool and beach. Oceanfront massages ranging from 15 minutes to 50 minutes. 24-Hour heated outdoor free-form pool with a hot tub. 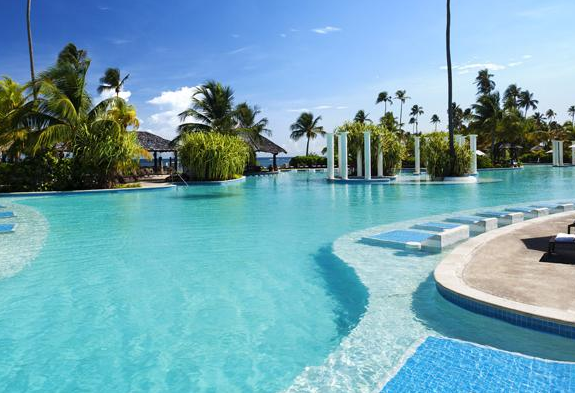 Papaya Oceanfront Grill, a swim-up pool bar. A toddler pool and children’s area. Baby floats, kids’ colored tubes, beach balls, goggles and bed floats available during the day and much more. 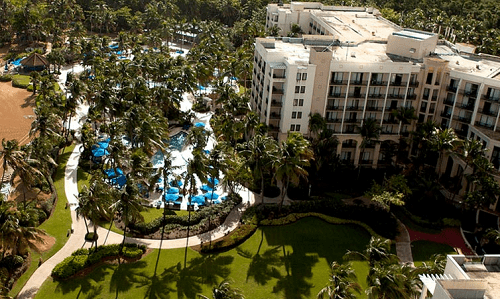 One of the best family & kid friendly resorts in Puerto Rico, Caribbean.